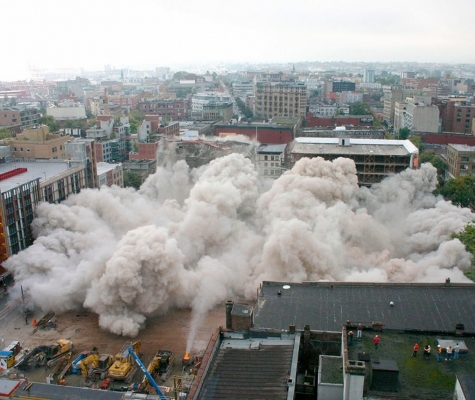 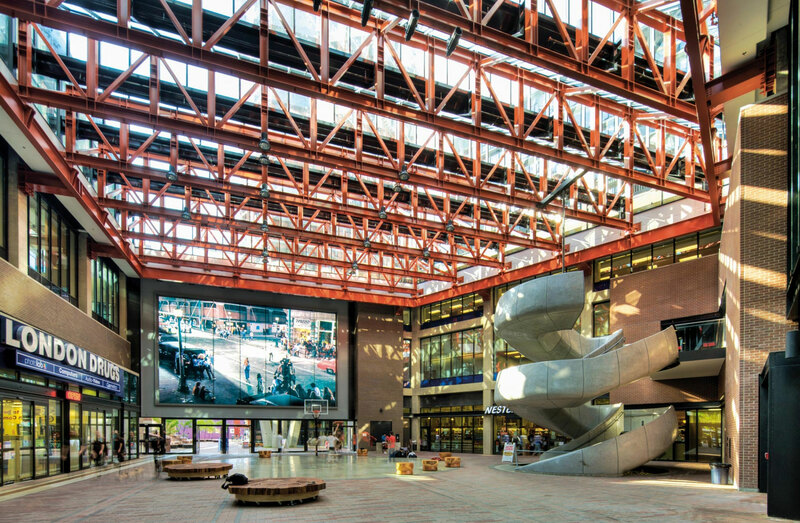 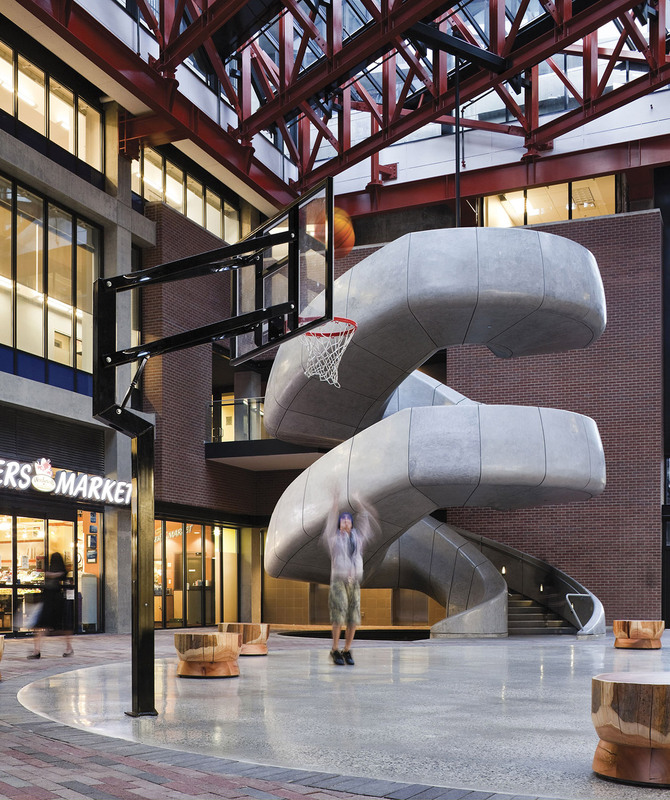 The project is unique in the history of Vancouver due to its inclusivity, social aspirations, scale and the partnerships required to successfully revitalize a previously abandoned department store. 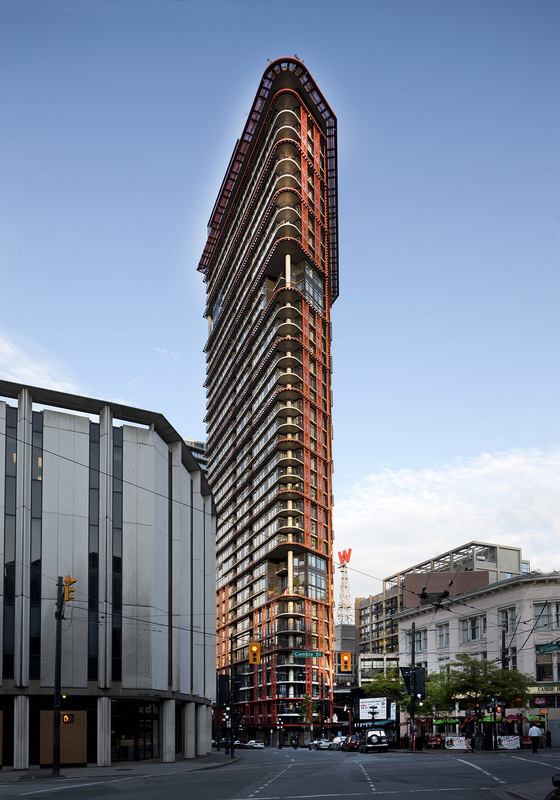 The Woodward’s Redevelopment is a large-scale, mixed-use project encompassing almost an entire city block in Vancouver’s Downtown Eastside. 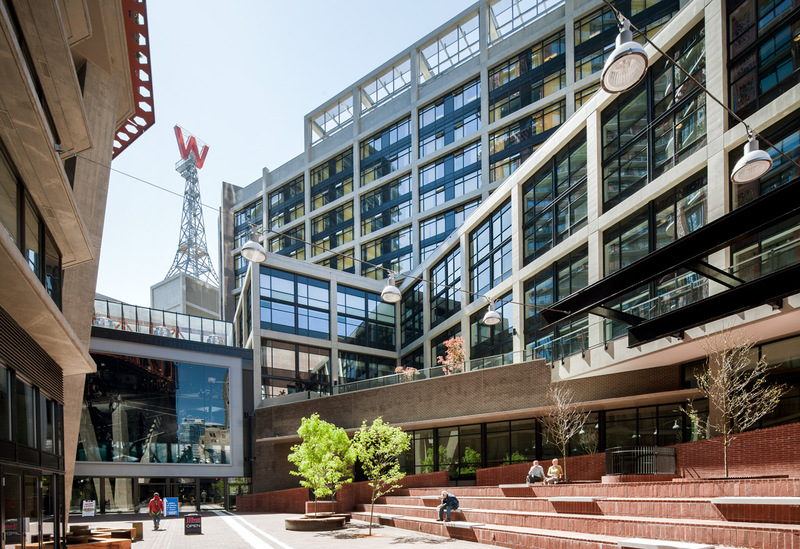 One of the most complex mixed-use projects in the city’s history, Woodward’s multifaceted program demonstrates the many elements necessary for any liveable neighbourhood. 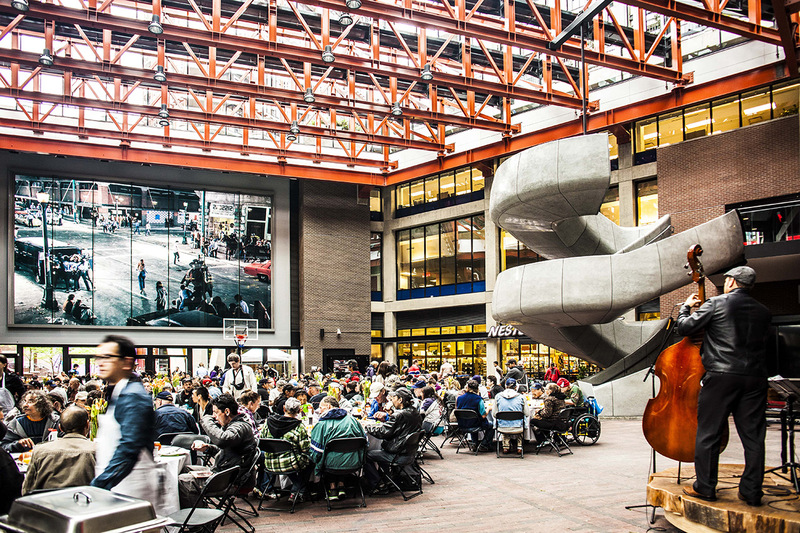 Comprised of 1,000,000 ft2 across four buildings, it integrates market and non-market housing, food and drug stores, retail, a public plaza, community non-profit space, federal and civic offices, a daycare, and is anchored by Simon Fraser University for the Contemporary Arts. 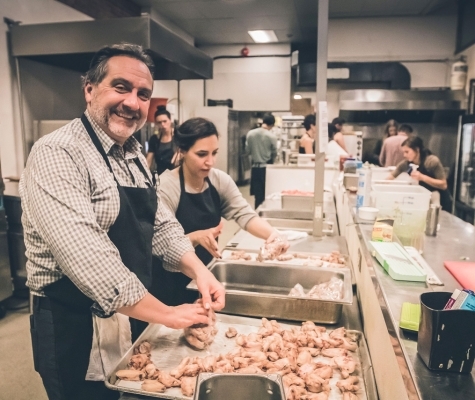 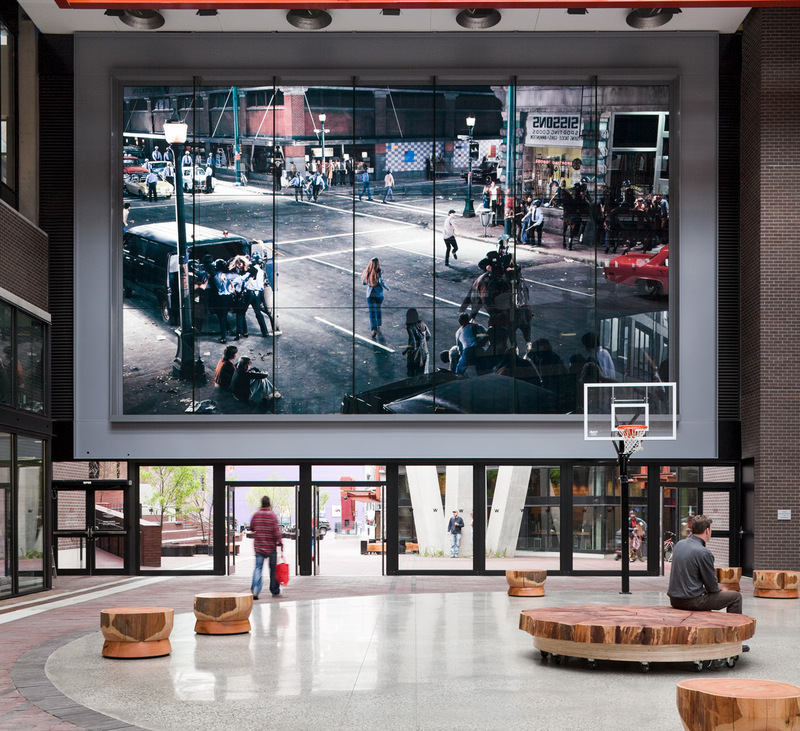 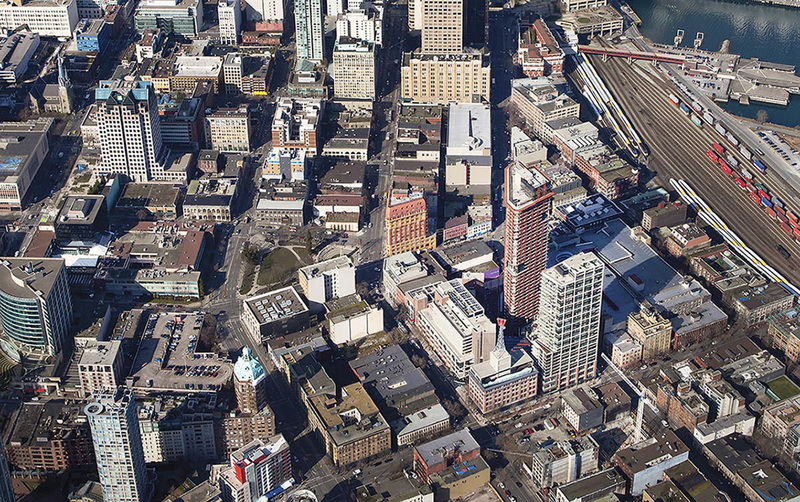 Woodward’s aspires to give meaningful expression to the Downtown Eastside residents’ daily struggles for survival and orientation, realizes a larger social mission, and challenges today’s architects to build beautiful cities for all citizens. 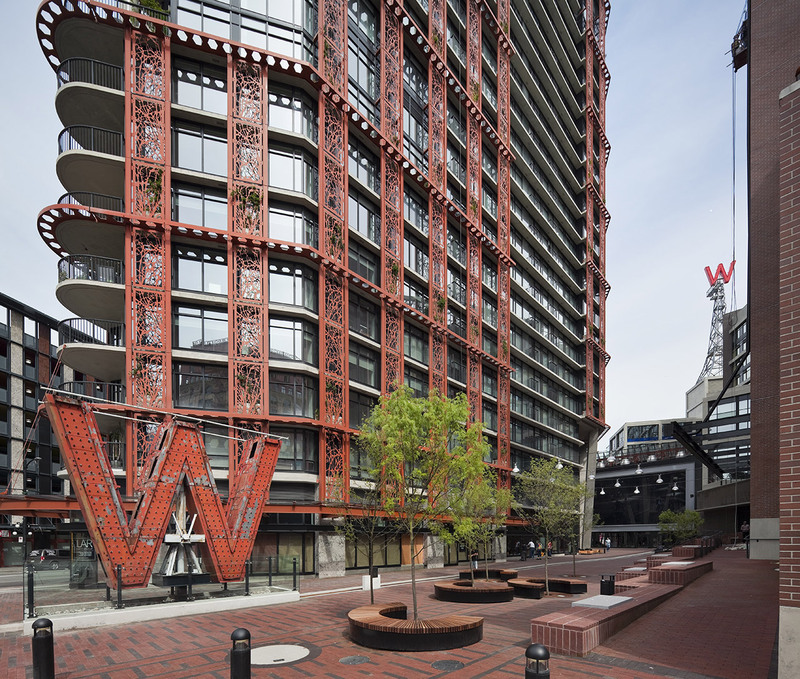 To contribute to the preservation of Woodward’s history and the neighbourhood’s heritage character, the project integrates the original 1908 building, together with a replicate of the original store sign. 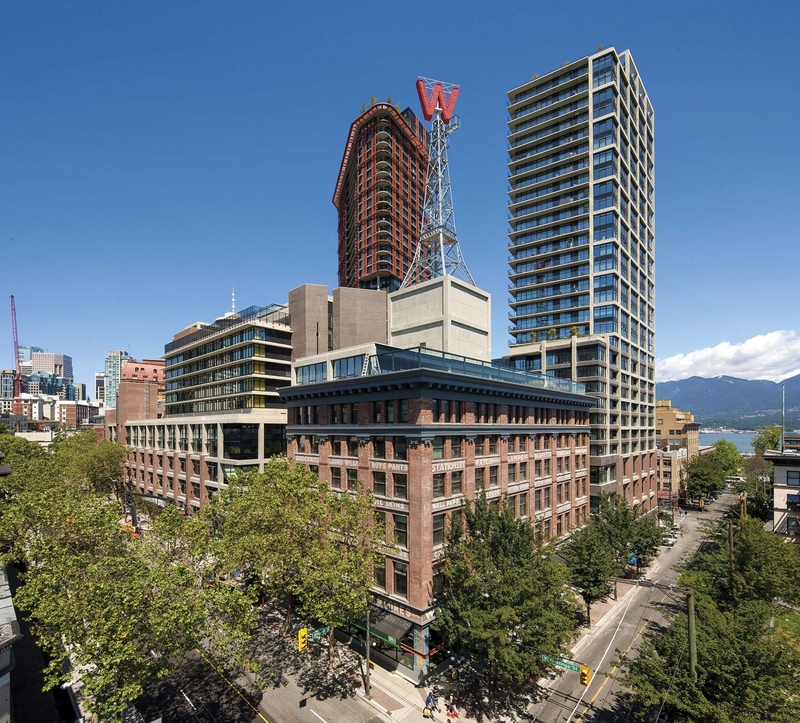 The “W” has once again taken its rightful place in the Vancouver skyline, where it announces the presence of a vital rebirth of this historic block linking the Central Business District to the Downtown Eastside. 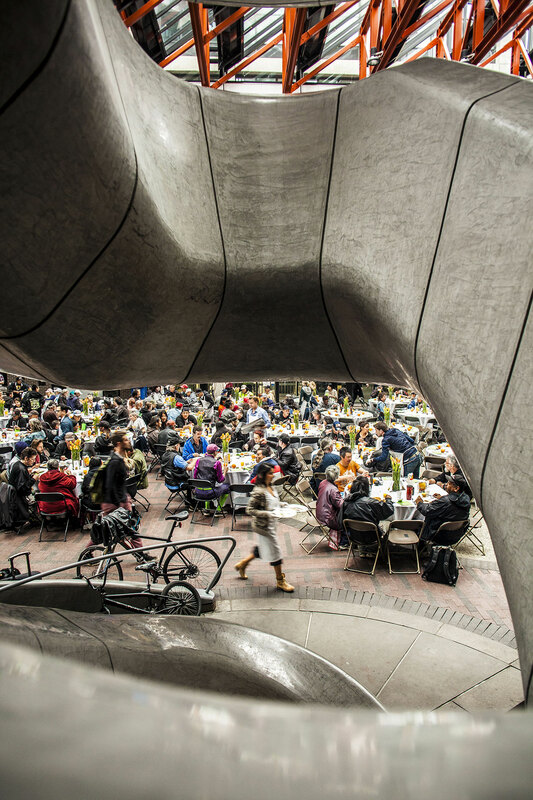 This project illustrates a potential expanded mandate for architects to orchestrate cross-sector collaborations to address the needs of all members of society.